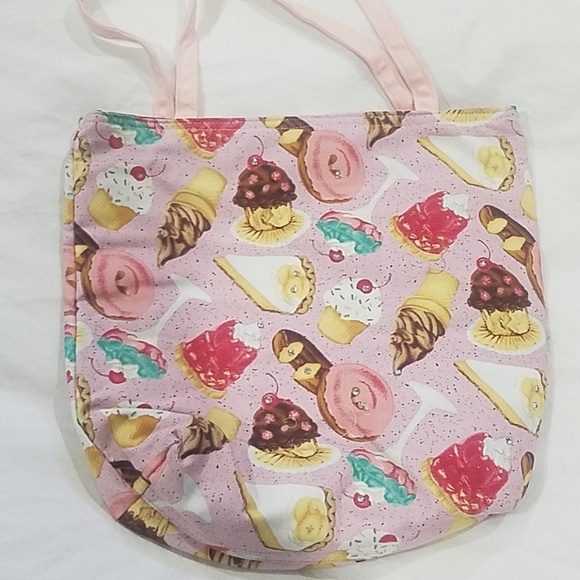 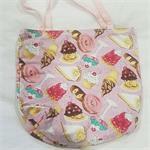 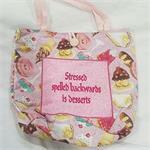 This delicious reversible cloth tote bag features a vintage cupcake print with embroidered cotton. 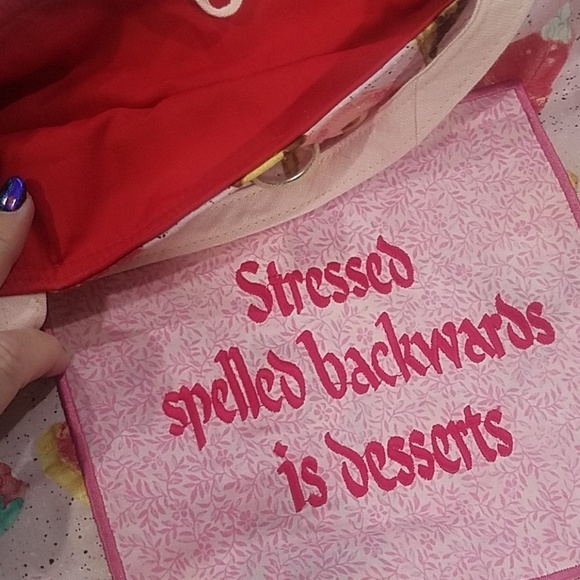 Lined in red cotton. 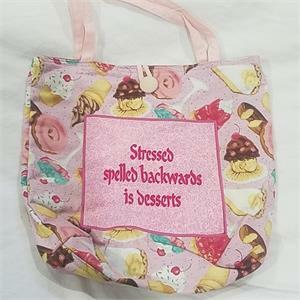 Adorned with sequins.